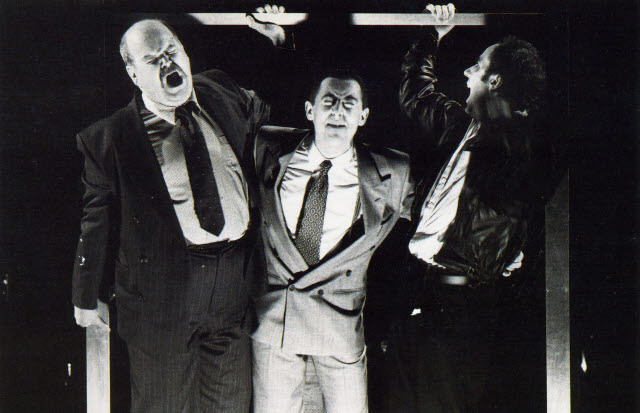 This Royal National Theatre production toured Britain before opening at the National Theatre's Cottesloe Theatre in 1990. I played The Madman and I also co-adapted the Dario Fo play with the play's director Tim Supple (published by Metheun Books). 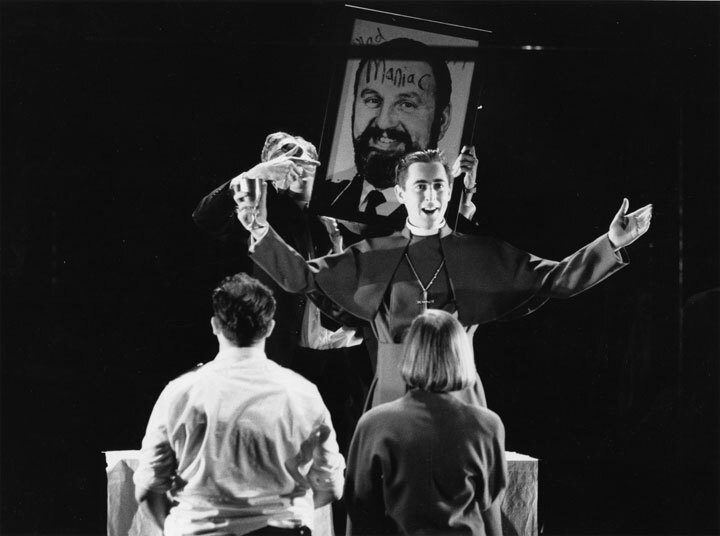 The role called for many disguises and changes, and the adaptation caused some controversy because of its criticism of the British government for the wrongful imprisonment of The Guildford Four and The Birmingham Six (who were all later released, some during the run of the play). Accidental Death of an Anarchist was nominated for Best Revival at the 1990 Olivier Awards, and I won an Olivier for Comedy Performance of the Year. 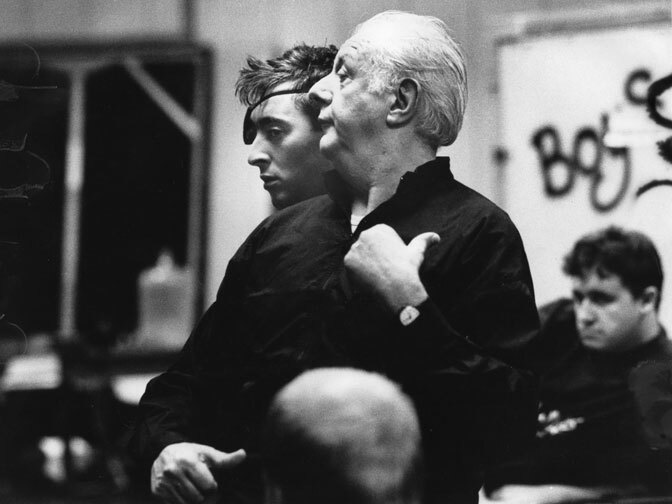 Here are some production stills and me in rehearsal with Dario Fo himself. Tim and I worked really hard on this. We wanted to retain the wit and the farce of the original but also to be truthful to the political issues that were at stake at the time when Dario Fo had written it. So we went back to the original Italian translation, and then decided that the wrongful imprisonments of the Birmingham Six and the Guildford Four (two groups of innocent people who had been accused of IRA bombings) were comparable political issues of our time, and so we wove them into the dialogue and the plot. It was really successful because although it is very funny, it also was very shocking and that was what Fo intended. So even though we were quite radical in our approach we felt we were being more faithful than other adaptations had been. What was exciting was that during the run of the play we had to make changes all the time, because the Birmingham Six were released, and shortly afterwards so were the Guildford Four.